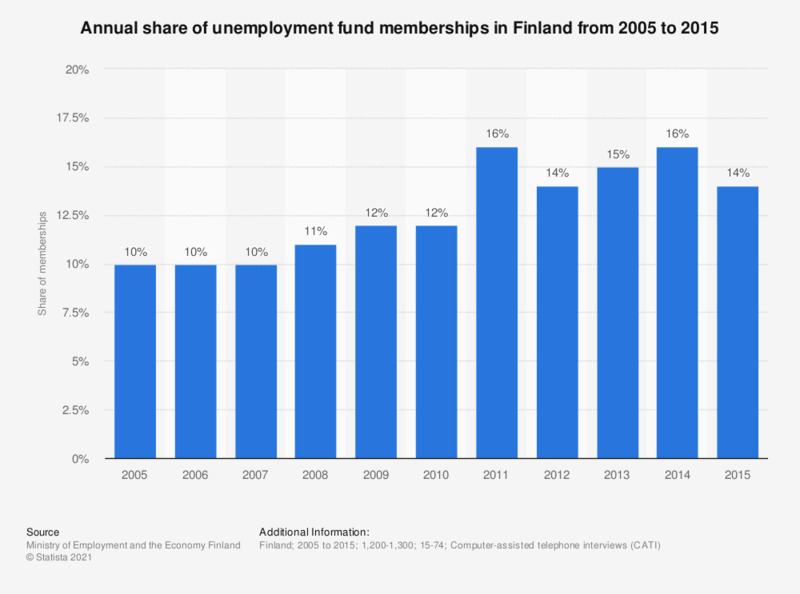 This statistic shows the annual share of unemployment fund memberships out of all employees in Finland from 2005 to 2015. Through the given time period, the share of members has increased. In 2015, 14 percent of all employees were members of an unemployment fund.